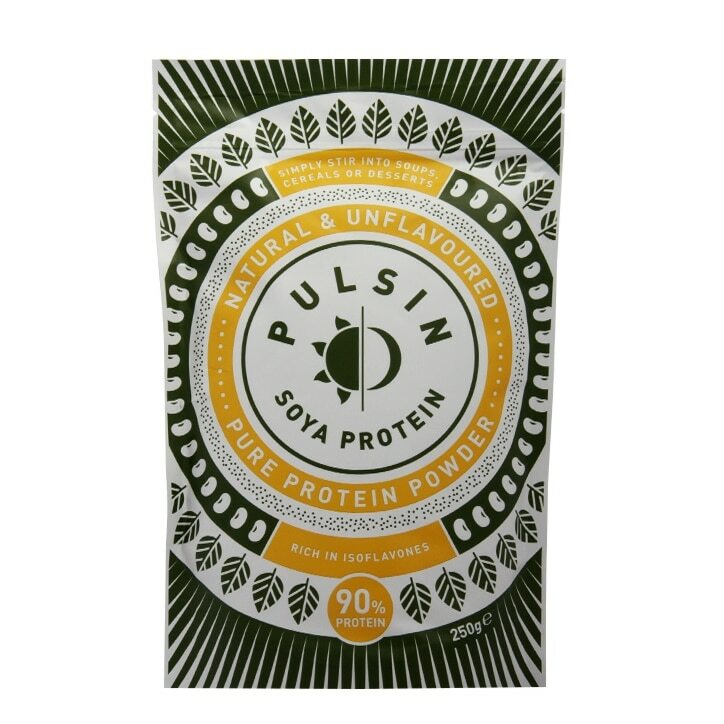 Pulsin Soya Protein 1kg is rated 4.1 out of 5 by 24. Rated 5 out of 5 by Anonymous from The best protein powder I have tried! I have been using soya protein powder for years now and this is the best one I have ever tried. I only use it plain in porridge, but to make a protein shake I mix this with Naturya Organic Cacao Powder and honey or agave syrup (if you're vegan I recommend this option) and it makes an amazing shake! Perfect chocolatey flavour that tastes like hot cocoa except cold. Far, far better than any of the chocolate flavoured powders I've tried. I definitely recommend this, and it's very cost-effective. Rated 1 out of 5 by GemmaG from Looked great in writing, but the taste is abysmal I bought this for the good protein content and it being vegan, but I cannot find a way to make this work. If it had no flavour I could deal with it. But the chalky, stick to the back of your throat, empower everything flavour makes me want to gag. I've tried it in porridge, in smoothies, in water - disgusting. I have tried masking it with sugar, agave syrup, maple syrup, berries, flavoured milk - still disgusting. I'm going to have to throw it out, I can't force it down anymore! Rated 1 out of 5 by SELondon from Taste like chalk and doesn't mix well I was looking forward to trying the Pea but it was sold out so tried Soya. It taste horrible, really struggle to get it down. It has a chalky, gritty texture and doesn't mix well AT ALL. I tried water, milk and smoothies - none have worked. Definitely a regrettable buy.